13 OctWhat is a mood board? I have been designing logos for 8 years, and at the beginning my approach was just essentially to meet with the client, create some sketches and present a bunch of logos to them. No wondering why some of them were not fully satisfied with my artwork. I have never been taught how to create a logo, I had to learn it day by day, logo by logo, client by client, during my work experience. During the last few years, I realised that words like “friendly” rather than “elegant” could mean something completely different for them. Sometimes as designers, we forget that our clients don’t notice the visual world like we do. Therefore, just talking things through doesn’t mean they will understand what we are envisioning. In a nutshell, it is a collection of colours, images, fonts and textures that would perfectly define what the project is about. It is about a mixture of sensations, emotions and credibility you would like your brand to evoke. As a client, have you ever got that feeling that you just were not getting what your designer was trying to explain about the design he was trying to put together? 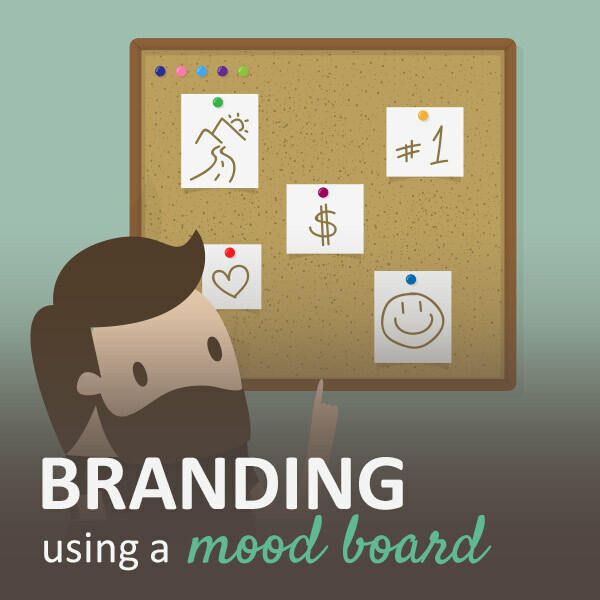 That is what your mood board is for. 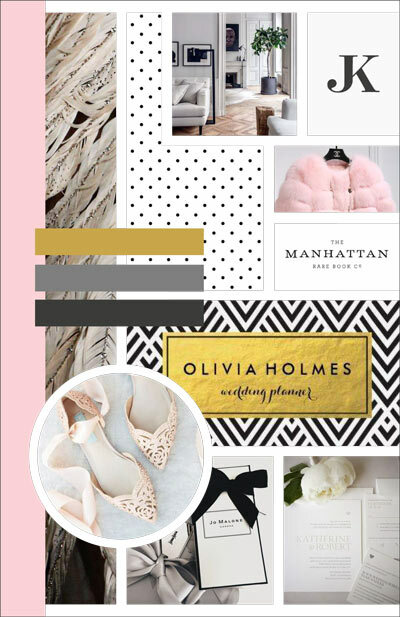 A mood board would help clients to visually comprehend what we previously talked about and show them an overall mood and visual concept of what I am envisioning for their brand. 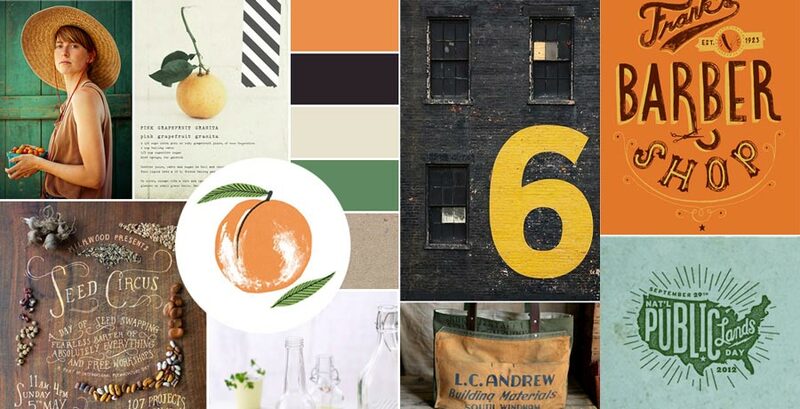 Besides, it is easier and faster to change the mood board concept than it is to change finished logo designs. This is a mood board I have recently created for a potential client: the tone of voice had to be “upper class”, the target market was affluent/luxury – shops in Harrods, fly’s by private jet, holidays in the best resorts in the world where money is no object, so the brand has to appeal to the rich list whilst reflecting the fact that it is a British product with the heritage that goes with a Made in Britain brand. My first place to find inspiration is always Pinterest, because it is full of good ideas that make your creativity fly, and it is very easy to search images on it. Once I have collected 30-50 different photos, from different categories (fonts, textures, landscapes, objects, architecture, packaging, people, etc.) it is time to reassess. Probably most of them are really colourful and vibrant, or very masculine and elegant, and that is the trend I was looking for. It is time to narrow down those images, starting from those I like the most, until I get 8-10 photos to represent my mood board. Being able to communicate a design concept to a client can be one of the most challenging aspects of a brand design project. Creating a mood board can help to overcome this challenge by giving my clients what they need to fully understand my creative vision. If you want to get known, differentiate yourself and reach new clients, I’ll try hard to offer you the best solutions, with integrity and proficiency. If you commission me a project, you won’t be disappointed.